Stranded colorwork technique might seem a bit scary and complex from the first glance. 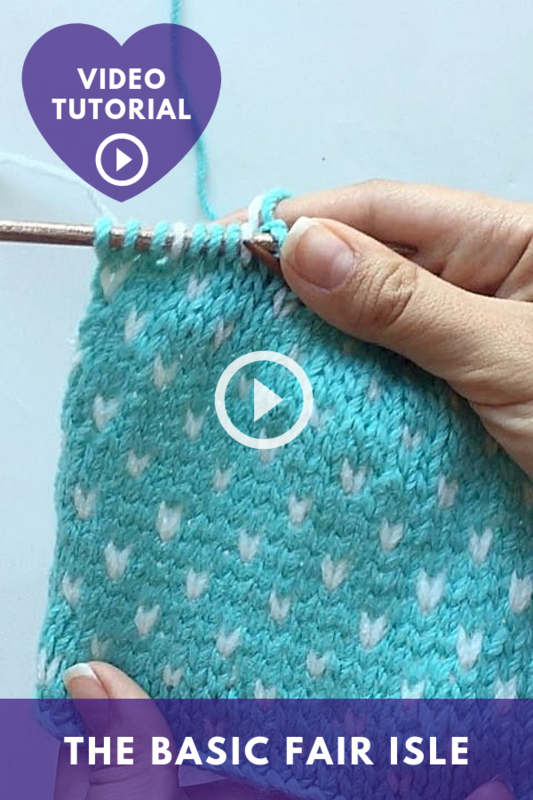 But if you start learning it from something easy - like this pattern - you’ll fall in love. Just think of all the possibilities for color and pattern combinations! Prepare yarn in a main color (MC) and an additional color (AC). Cast on the number of stitches divisible by 4 with MC. Repeat R1-4 the desired number of times. 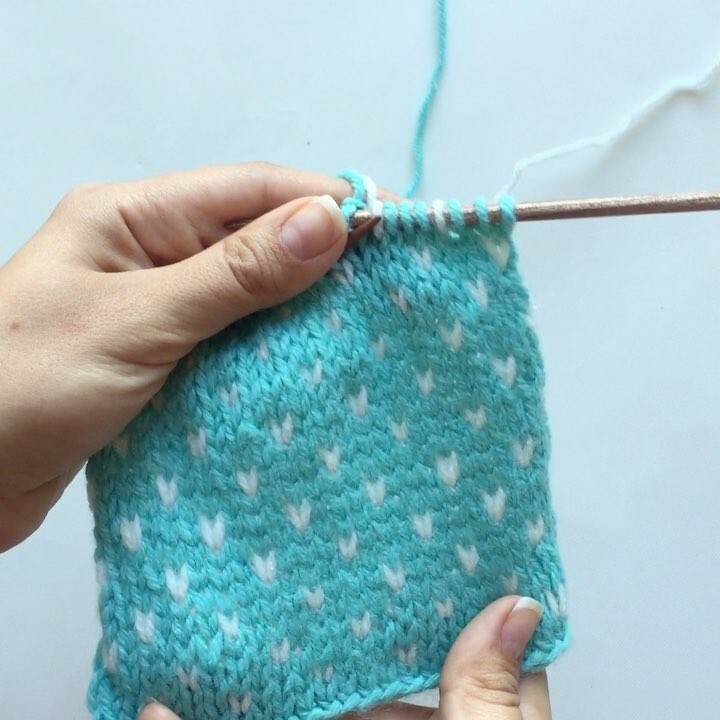 Starting from R5, you can also just remember to knit each stitch of AC three stitches above the previous AC stitch. I use this approach in the video.